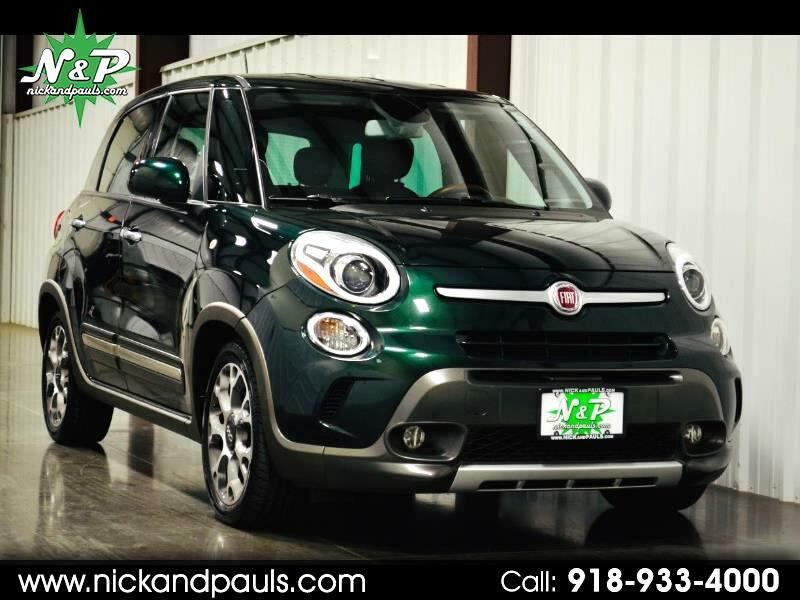 Have You Seen This Very Cool 2014 Fiat 500L Trekking?!? Super Duper Cool For Real! Look At The Low Miles! Everyone Loves Low Miles! Truth! Look At The Low Price! Mind Blown?!? Well It Ding Dong Should Be! This Is Definitely The One That You Want! It's The Beats Edition! With Premium Bluetooth Audio By Beats! Amazing! Dual Heated Seats, Navigation, Backup Sonar, Great Looking Alloy Wheels, Like-New Matching Tires, And A Handy Backup Camera Too! Ice Cold Air And 33 MPG?!? Duuhhh! Yes Please! It Has 2 Sets Of Keyless And Lots Of Room For Your Stuff! Ya Know You Got A Lot Of Stuff! Yes You Do! 100% CARFAX Certified, Issue Free, And Ready To Go! You Should Totally Buy It! Better Hurry! It's Gonna Sell Fast For Sure!